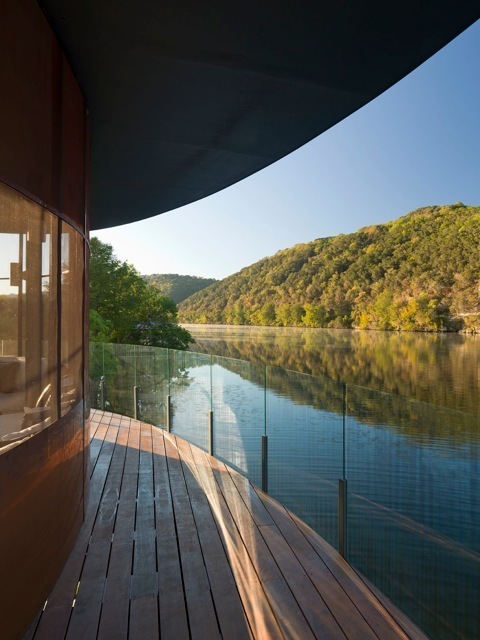 Located on a bend in Lake Austin across from Canyonland Nature Preserve, the site is suggestive of the elliptical form that maximizes the beautiful views of the undulating hills beyond. 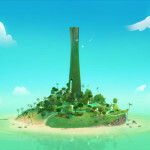 The rounded edges of the dock peel away, allowing more of the landscape to be captured into the visual frame. 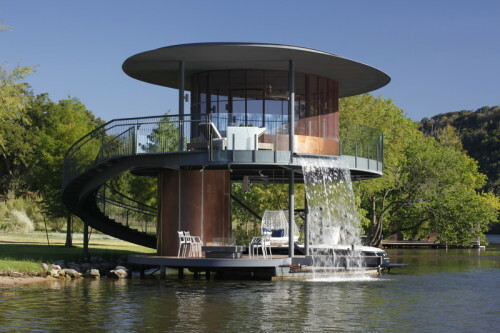 The setting, the simple forms, and the flair of the water feature make this quite the striking structure. via Shore Vista Boat Dock @ Bercy Chen Studio: Architecture + Construction.